Kaleigh Natale started serious training at the age of thirteen. 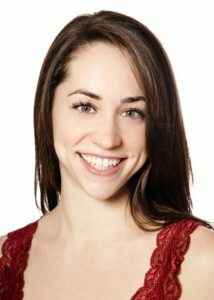 In 2012 she graduated from The Boston Conservatory with a B.F.A. in Contemporary Dance Performance. At The Boston Conservatory she was awarded a Merit Scholarship and worked with master and student choreographers. She performed The Winged by Jose Limon, Mechanical Organ by Alwin Nikolais and excerpts of Three by Ohad Naharin. She also performed original choreography by Gianni DiMarco, Danielle Agami, and Danny Pelzig. In 2012 Kaleigh joined The Portland Ballet Company. She became a full company member in 2013. With Portland Ballet she has appeared in Summer Seaside Social, Halloween Spooktakular, The Victorian Nutcracker and The Armed Man. During her years as a teacher Kaleigh has enjoyed watching her students grow and find a voice for themselves using The Arts.